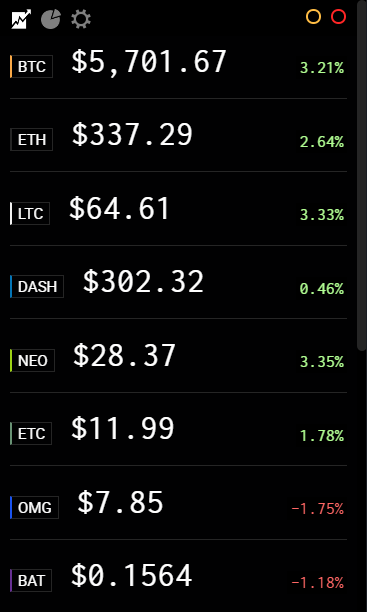 Crypto Price Widget - Bitcoin, Ethereum, Litecoin, and altcoin price tracker. 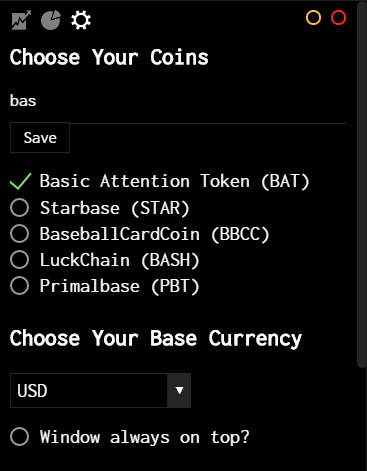 Track almost every coin in your native currency. Currently supports the 20 most traded currencies. Visualize the quantity and value of your crypto portfolio. The widget pulls data every 5 seconds to give you the most accurate information. Code is freely available on Github for review and pull requests. Valuable features for the serious trader or hodler. Found a bug or have a feature request? Open an issue on GitHub for review. © 2017 Crypto Price Widget. All Rights Reserved.